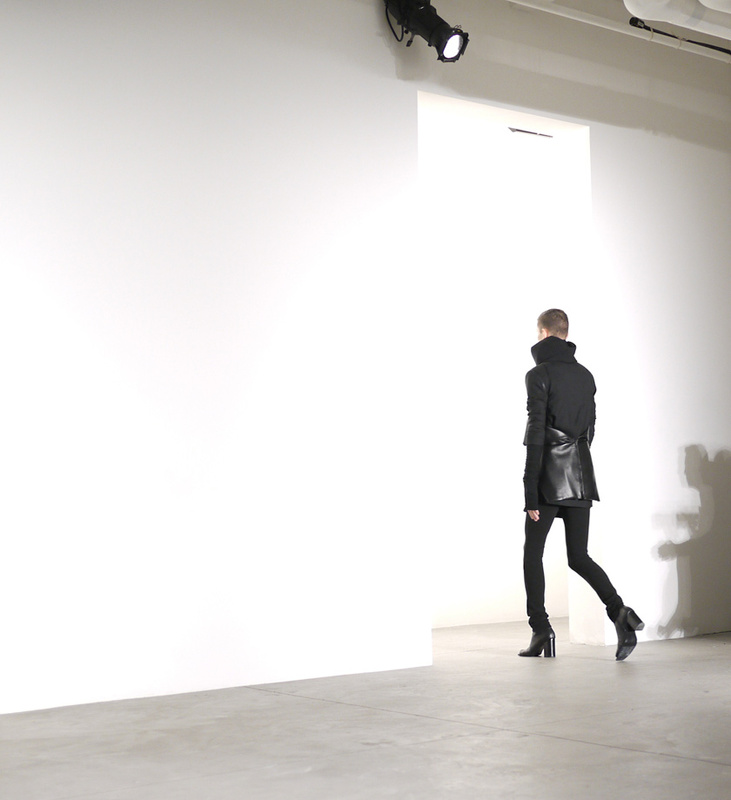 The Empire Strikes Back once again this season by capturing the metamorphosis of an emerging generation, presented to us through Rad Hourani’s latest Fall/Winter 2010 collection. Hourani indeed entices us to observe the works of a redefined creator, imprinting his signature aesthetics onto a timeless garment of sustainable fashion. 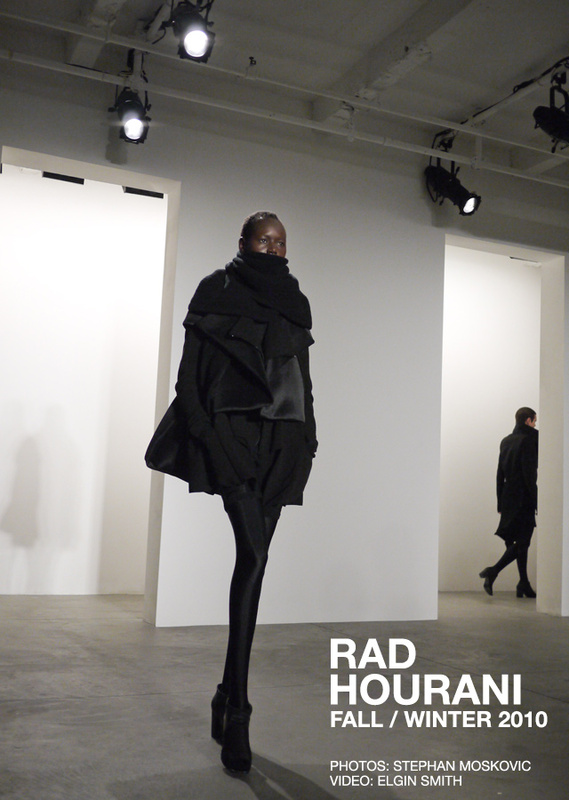 where can i buy rad hourani? any stores that sell here in the u.s.? Love it. 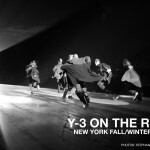 It’s aesthetically pleasing… Amazing!!! Why was Crystal Renn in the backstage shot and not in the show itself? I’m slightly confounded by this. 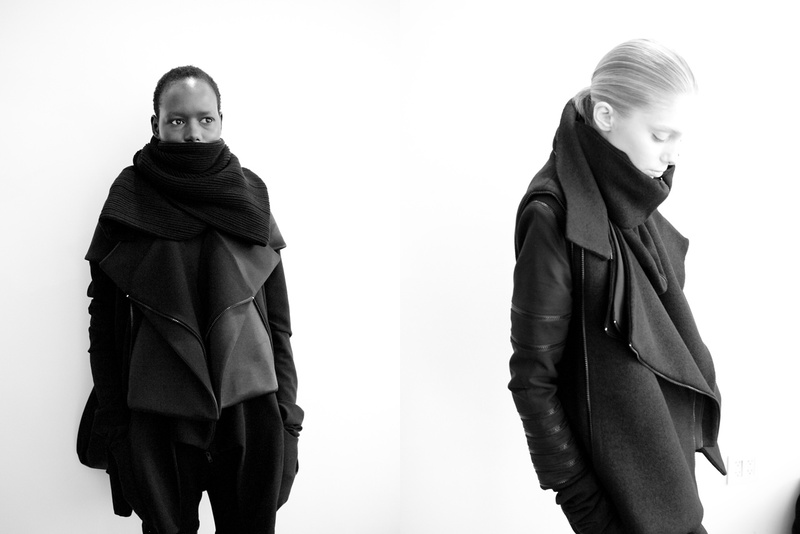 Great style, though I don’t like the unisex idea. But the guy is good. I love Beauty of Black fashion. 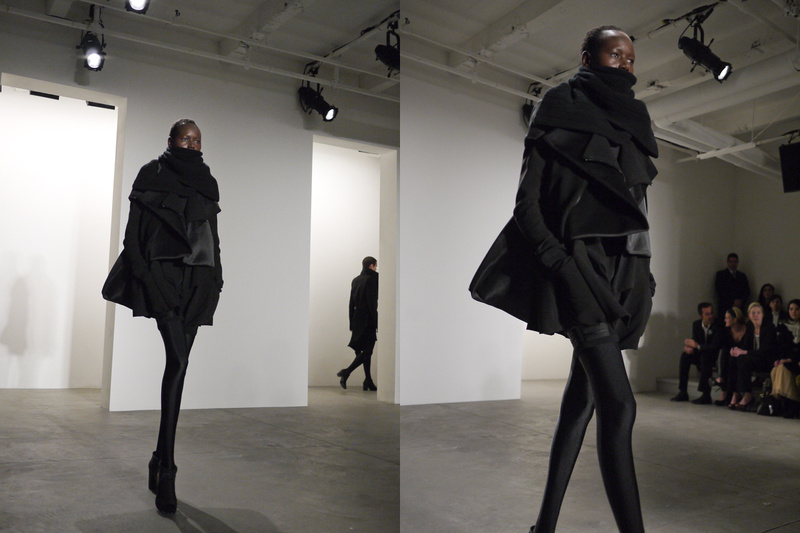 so i love Rad Hourani this collection. It’s as if their defining characteristics, being male or female or having various shades of skin, are just part of an inconsequential shell. In the end they all came from the same demonic utilitarian factory. A very stylish utilitarianism. …it makes you focus on specific details in the texture of fabric, where leather meets silk, where zippers meet smooth wraps that have no beginning or end. Amazing.